On Monday, I listened to most of a recording of Christopher Vogler's Using Myth to Power Your Story. Although I've heard that material before, something about it sunk in more this time around. I was even inspired to write an intro that kicks off a story I've been brainstorming (1,923 words). Wrote in the journal, too (754 words). Tuesday I finished listening to Chris Vogler's workshop. During my lunch hour, late in the day, I tried putting the ASL story (tentatively called "The Ark") into the Hero's Journey structure (1605 words). As it turns out, the words I wrote the day before actually cover the first four stages of that model (Ordinary World, Call to Adventure, Refusing the Call, and Crossing the Threshold). That evening I also commented on a post on Joanna Penn's blog that I found interesting (227 words). Did a journal entry (543 words) as well. 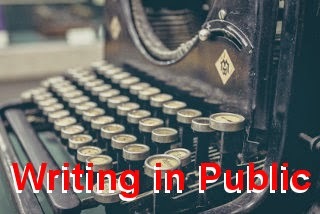 Wednesday, I wrote a journal entry (761 words), posted a comment on Chuck Wendig's blog on a post that had helped me (396 words), and rewrote that comment as a blog post on How to Write Fiction (273 words). Thursday evening I journaled (395 words) and wrote 3 opening lines, one of which grew to a paragraph (142 words). Friday I only managed a small amount of journaling (232 words). Saturday, I wrote a post about the Storybase brainstorming software for writers (1,495 words). It will appear in late April on my How To Write Fiction blog. I wrote three beer reviews for Columbus Beer Scene (576 words total). I wrote an article on homebrew labeling for Begin Brewing (604 words). I also created ten posts for the Application Repackaging blog (3,365 total words). A short journal entry was also written (189 words). Sunday I wrote a post about the QBrew brewing software (1,213 words) for Begin Brewing, which will not appear on the site for a while. I wrote a lengthy journal entry (1,477 words). Microsoft has added some great features in Windows 10. The built-in Hyper-V feature will allow many people to replace VMware Workstation and other VM software, the Task View feature gives Windows virtual desktop space, which will be great on devices with a single small monitor, and some of the other features look good too. They Might Be Giants - Their music has been running almost non-stop through my head this week, causing me to listen and re-listen to a lot of it. It's just really fun music. Steve Martin - He's a writer, a musician, a comedian, an actor... is there anything that guy can't do - and do well? Gotta wonder. Seems like the sort of person who would make a good friend if you got to know him. Phil Collins - When you see him in the more candid interviews and backstage footage, he always seems like a really fun, down to earth guy. He's another I'd like to know, and not because he's a star, but just because I think he'd be a good person to spend time with. Didn't meet anyone new this week. ASL Plot - This didn't happen because I didn't put the time into it. Opening Lines - I had trouble coming up with these, but I also didn't sit down often enough and try. Finish the basic plot for the ASL story with the working title "The Ark"